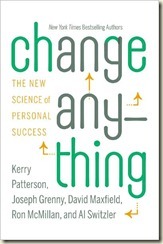 I’ve been re-reading my favorite book on personal growth and development, Change Anything by Kerry Patterson and company, and once again I’m struck by how it applies to the writing life as well as to the standard life challenges of weight loss and credit card debt. 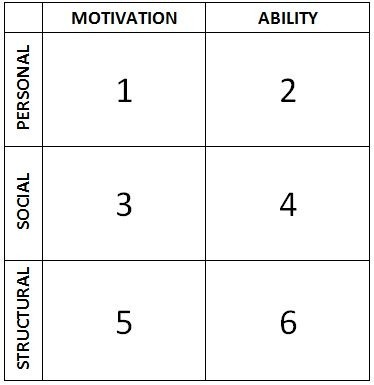 Areas of weakness: Identify your weaknesses as a writer or person. It may be helpful to ask a friend or critique partner to help you see blind spots. Craft skills: Do you want to write more quickly? Improve your ability to write dialog? Improve your ability to use metaphor? What writing skills do I need to do so? These can include writing craft skills, such as those above. They might also include strategies for dealing with obstacles you might face as a writer, such as distractions, rejection, and discouragement. Freewriting: Freewriting, or stream-of-consciousness writing, is a great way to practice silencing your inner editor long enough for your subconscious to push ideas to the surface. Resource: Ten Reasons to Practice Freewriting, Writing in Flow, and Write or Die! Use of simile: Coming up with a great simile might be second nature for some, but most of us struggle to come up with comparisons that are vivid, concise, and not cliché. Resources: Word Magic, Theory and Practice. Use of metaphor: Same idea, different skill. Check out Symbolism and All That for ideas. Character creation: The Bookshelf Muse has some great character trait ideas. 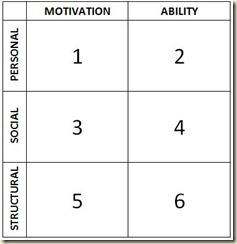 See also Character Archetypes, Four Ways to Use Meyers-Briggs Personality Types in Your Novels, and Character Quirks on this blog. Plotting the hero’s journey: Chris Vogler’s book, The Writer’s Journey, is a great—if dense—overview of the hero’s journey. For an alternative approach, read A New Character-Driven Hero’s Journey. Writing discipline: One writer shares inspiration in Finding Time to Write. Other helpful posts include Stepcase Lifehack’s 7 Wise Ways to Find Focus and Get Things Done, Men With Pens’ How to Manage Your Energy, and Heather Sellers’ Page After Page. Organization of story notes, ideas, research, etc: Check out How a Simple Bag Became a Magic Organizational Tool, How to Use Evernote to Organize Your Writing, and Organizing Book Notes for strategies and ideas. And, of course, I just blogged about this here. What writing skills are you going to practice this week? Dialog! Have any good resources to share? What a great post! As usual, you are full of great ideas and resources. I want to get my hands on the Word Magic and Symbolism books. I love the new look of your blog. You rock!